Which year is your favorite? 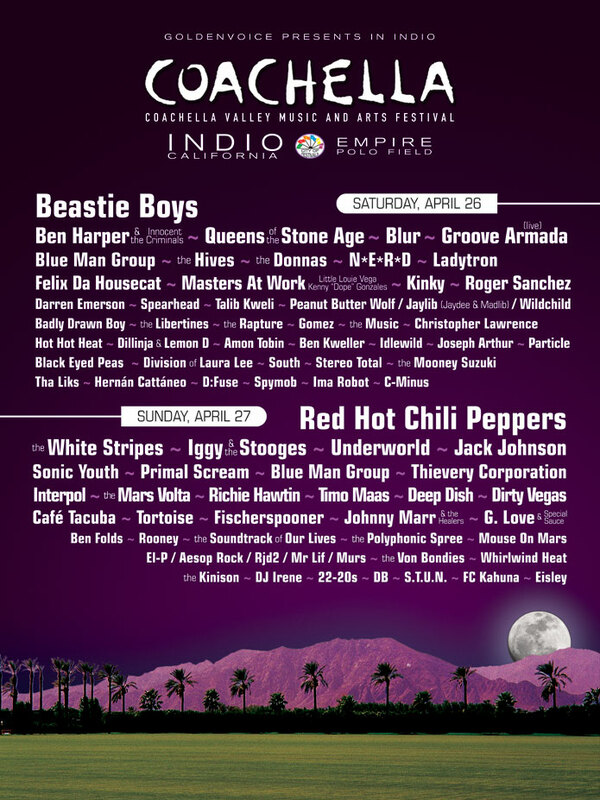 Yesterday, Coachella Valley Music and Arts finally unleashed the lineup for their 2017 festival. 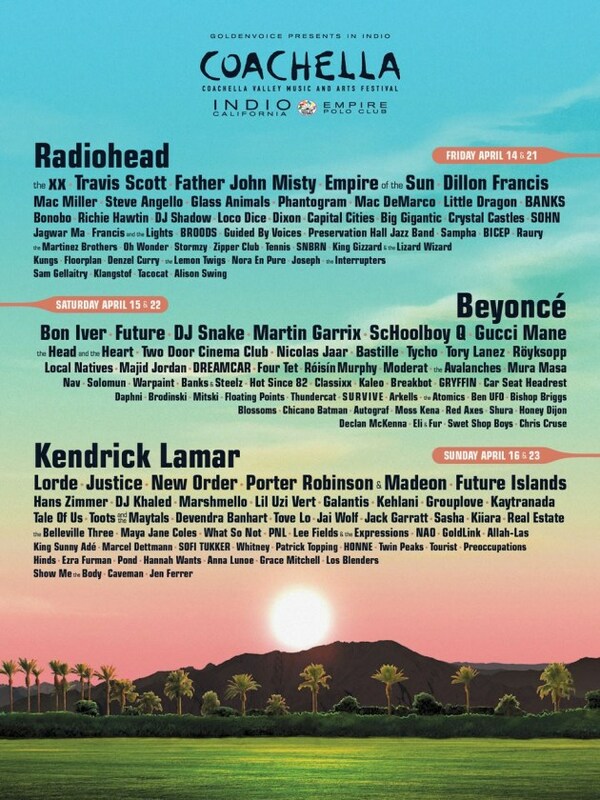 The rumors were confirmed — Kendrick Lamar, Beyoncé and Radiohead are headlining. In addition, artists like Travis Scott, Future, Gucci Mane, Lil Uzi Vert, KAYTRANADA, ScHoolboy Q, Justice, Hans Zimmer, Bon Iver, Kehlani, Tory Lanez and more are set to perform. 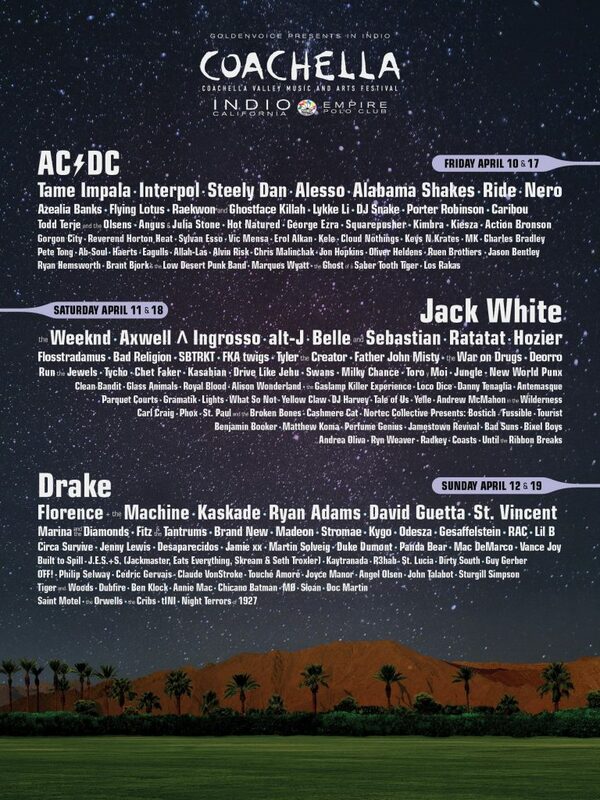 Set to take place at Indio, California on April 14-16 and April 21-23, passes will go on sale on January 4 at 2 p.m. EST. Learn how to purchase the tickets here and check out the advanced sale information here. 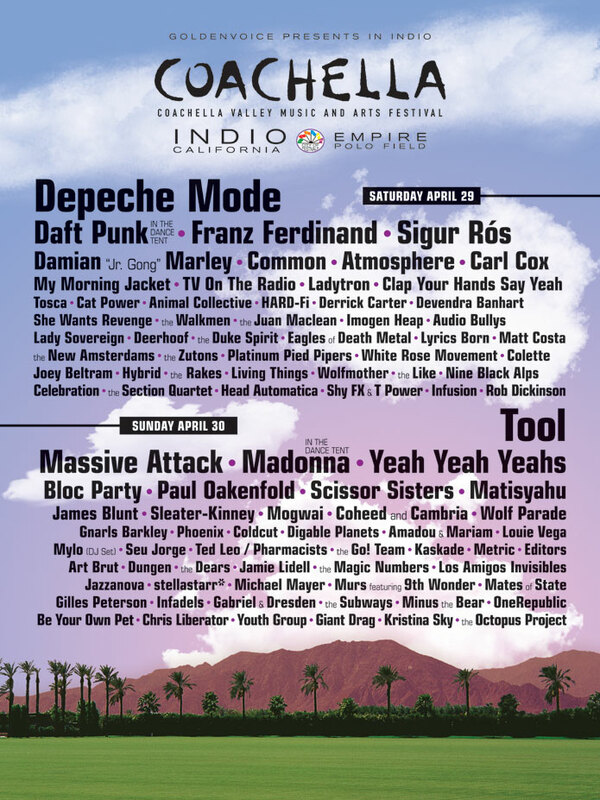 In celebration of the lineup and in anticipation of the forthcoming festival, we’ve put together a timeline (as well as some information) on all of Coachella’s past lineups — from the festival’s inception in 1999 till now. 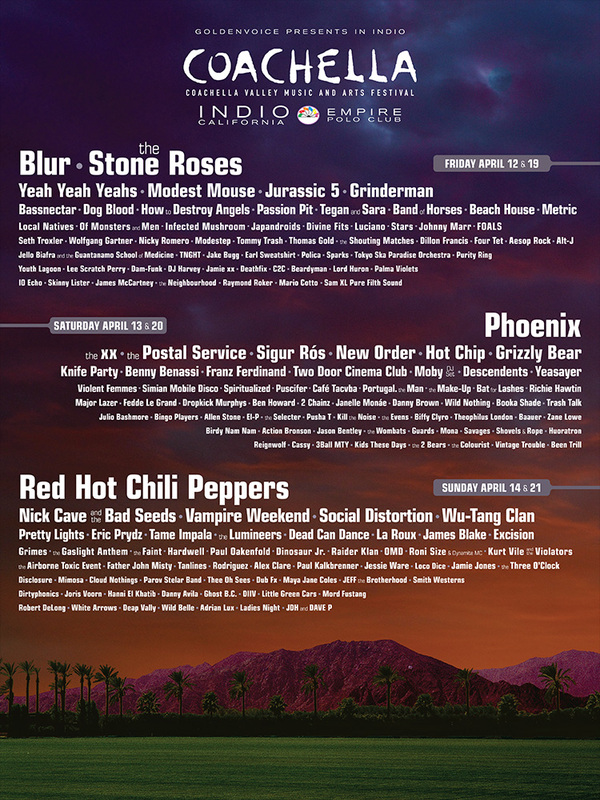 Which year did you feel had the best lineup? 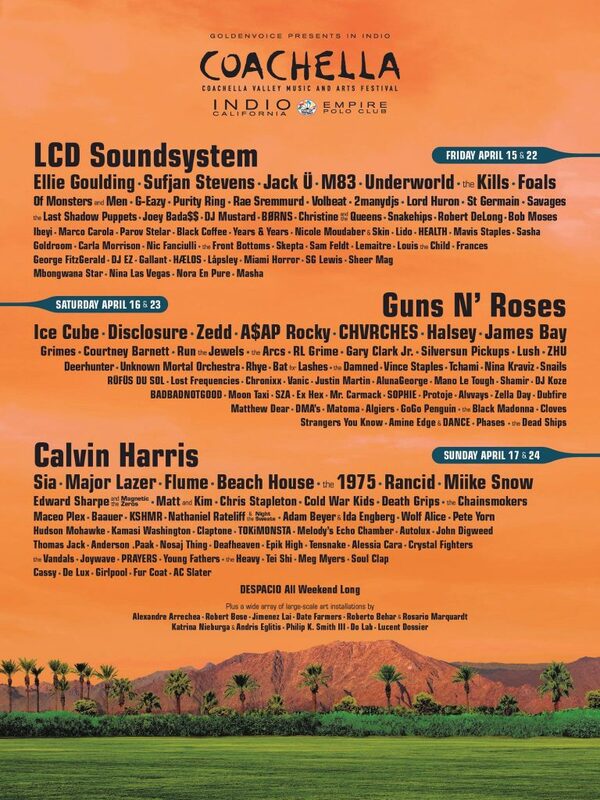 Goldenvoice, a subsidiary of AEG Live as of 2001, lost $850,000 because of the first Coachella. It struggled for almost two years to survive as a company, having 1999’s headliners agreeing to receive deferred compensation. 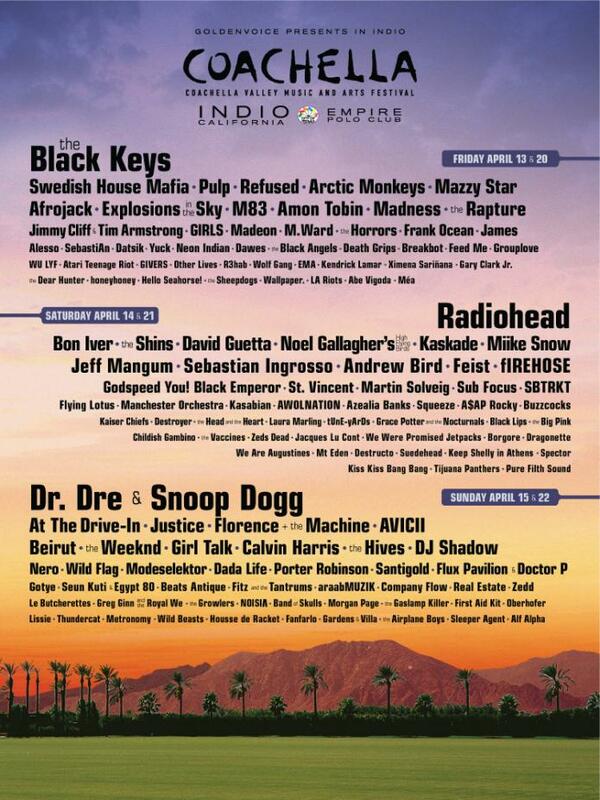 Although tentative dates were reserved to get the festival going again for 2000, it was cancelled. 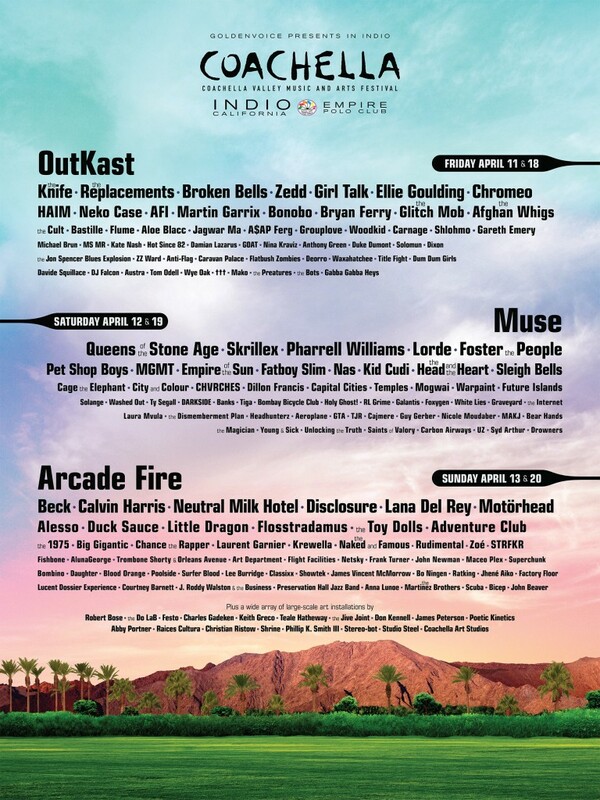 Instead, electronic dance music festival Nocturnal Wonderland took its place at the Empire Polo Club instead. Plus the hip-hop on heavy rotation in her studio. The Tesla competitor shows us the future of driverless cars. Neek Lurk of Anti Social Social Club Releases "SPEEDING THRU YOU"
Paying for music is in again.